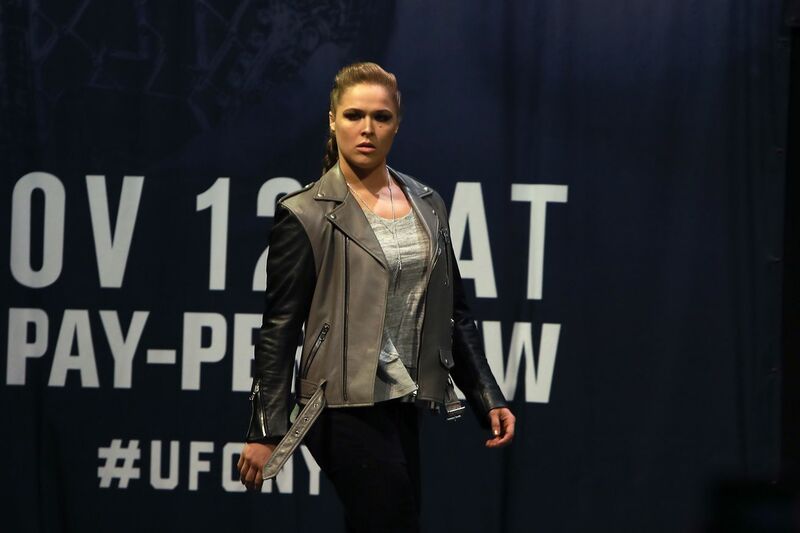 Former Ultimate Fighting Championship (UFC) women’s bantamweight champion Ronda Rousey made a surprise appearance at the UFC 205 weigh-in event earlier this month in New York City, staring down current division queenpin Amanda Nunes in front of a roaring crowd. But shortly after coming face-to-face with “Lioness” in the “Big Apple,” Rousey stormed off the stage, much to the surprise of the mixed martial arts (MMA) fans in attendance (and watching at home). Promotion President Dana White blamed a production screw up. According to veteran combat sports reporter and MMAFighting.com correspondent Dave Meltzer, “Rowdy” was indeed upset after her recent public appearance, to the point where she needed to be consoled. I was upset too. Do you know what they charge for a hot dog these days in Manhattan? Rousey will try to reclaim the division title when she collides with Nunes at the upcoming UFC 207 pay-per-view (PPV) event, going down Dec. 30, 2016, inside T-Mobile Arena in Las Vegas, Nevada. For much more on that year-end extravaganza click here.